The Story — Nine Nickels Inc. The name of the organization is inspired by Erma Collins, the founder’s grandmother; whose support and inspirational life story epitomizes the values and the progress the Organization seeks to promote and inculcate in others. 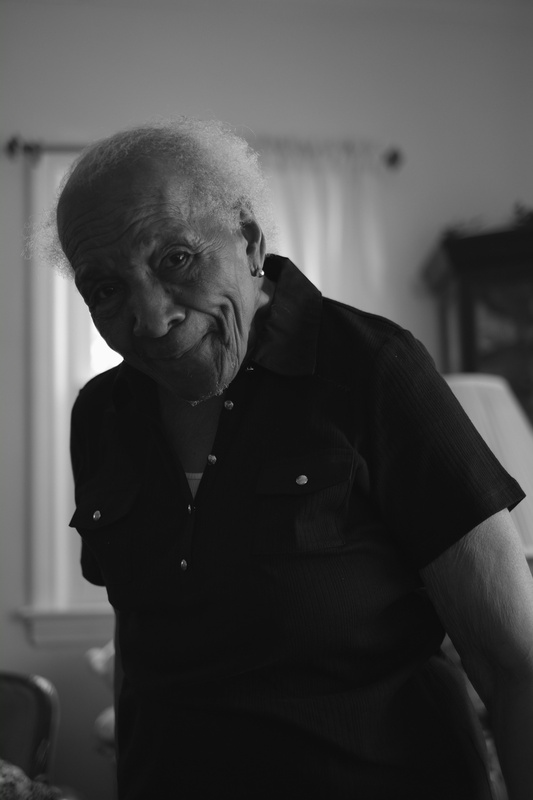 The daughter of Jackson Abner Everett, a former slave, Erma Collins was born into a life as a sharecropper in segregated North Carolina in 1920. Although her father could not read or write, he had excellent math skills and understood the value of hard work and a sound education. Jack Everett worked fields by day and split rails (splitting wood) at night to purchase his freedom and buy a two hundred acre farm. To help her get ahead in life, Erma’s father required that she read to him every night as a young child, and solve math problems to reinforce what she learned in school. He also encouraged her to go to college. To get to and from primary school, Erma walked three miles in each direction. Often times, white students who rode by on school busses antagonized her by throwing things and yelling insults. In high school, Erma was one of the first African American students to take and score high enough on the standardized tests to justify bussing for all black students in North Carolina. At the age of seventeen, Erma worked as housekeeper for a family in Virginia Beach, VA. She worked six days a week, from seven in the morning to nine at night. Her wage was forty-five cents a day. From forty-five cents a day, Erma contributed to the purchase of provisions for her family and saved enough money to attend college. Erma Collins encountered countless excuses to fail. She was told she could not make it – by the family that paid her forty-five cents a day and even her own people – and that higher education was a waste of time for someone of her meager heritage. Erma proved them wrong. She received an undergraduate degree from Elizabeth City State Teachers College and two graduate degrees in education from Pace University. Erma taught elementary school and was an assistant principal for the New York City Department of Education. She is a home owner in New York City and landowner in North Carolina, and in old age is able to sit back and enjoy retirement worry free. Erma Collins has achieved the American dream that eludes so many. Erma’s mantra has always been: i) be self-confident; ii) expect success; iii) take advantage of every opportunity; and iv) find learning in failure. Her experience of working for forty-five cents a day made Erma determined to provide a better life for her children, so they would never have to live through such hardship. Erma’s living example and her emotional and financial support led to successful outcomes for her family and many others, including her students. Her sons have attended college and earned advanced degrees, as have her grandchildren, and many others who Erma has mentored. Regrettably, such success is not the norm for others of similar ancestry. Erma’s success is the impetus for Nine Nickels, Inc.